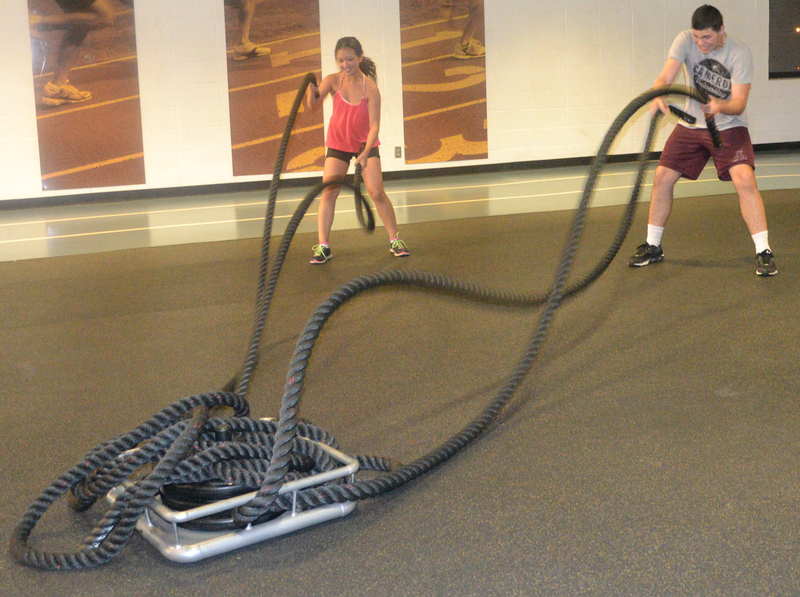 Freshmen Divine Alban (left) and Aaron Graham (right) break a sweat and burn calories while using the conditioning ropes, located on the second floor of the Rec Center. Under the guidance of new Facility Manager Otis Gentry, a lot of changes have been made this past year to the Aggie Recreational Center. Gentry, who on Sept. 3 celebrated his first year as the Aggie Rec Center Facility Manager, was a Recreational Facility Manager on Ft. Sill for over 13 years. As the new manager, he is looking for ways to boost attendance to the already climbing number of visitors each day. As head of the facility, he has already implemented change by bringing massage equipment, stretch bands and a plethora of new classes to suit different workout styles. One of the new classes is the Barre Class, a combination of ballet, yoga and strength training taught by Katie Wright. For those looking for a more intense, fat-burning class, the Spin Class meets Monday through Thursday at 6:15 a.m. and is taught by Gentry himself. Also offered at the center are walking, jogging and running classes that meet at various times throughout the week and have separate instructors. Gentry said he’s working on modifying the school policy which currently allows only Cameron students or alumni to enter and workout at the Rec Center. He wants to institute a new policy that will allow college students and staff to be able to bring a family member or friend to come exercise and workout. 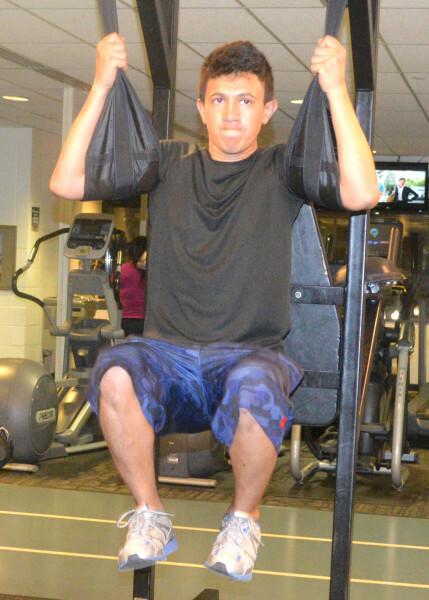 He wants to build the Rec Center into a family-friendly place where both college students, as well as staff workers and their families, can go to enjoy a workout and be healthy. He thinks one of those ways is through the families and friends of students and staff. To keep tabs on what’s what with the Rec Center and the classes offered, check out Aggie Access for updates, or pick up a schedule with a complete list of classes and times at the Rec Center front counter.